Home > Best Time To Visit > Best Time to Visit Bali Indonesia for You? The best time to visit Bali Indonesia is a tricky question to answer. It all depends on numerous factors surrounding your travel and your purpose of visit. If in many parts of the world the weather plays an important role on when to come, Bali and the Southeast Asian countries is an exception. The tropical weather is extremely difficult to predict. This basically boils down to unpredictable rain and wind. In theory, Bali only has two seasons. But it’s safe to say that Bali has Sun Season all year long. If you’ve been to Bali for sometimes, you’ll probably notice a lot of discrepancies between the weather forecast on your phone and real-life weather. However, in general, the temperature is easier to predict in the tropics. Bali included. Temperature generally does not fluctuate much and stays much the same all year long. What do you need to consider to weigh down when is the best time for you to visit Bali Indonesia? When it says it’s raining, the weather forecast is almost always wrong. You shouldn’t count on the weather to decide when is the best time to visit Bali Indonesia. Just a quick glance on your phone on the current weather indication, and it’s also likely wrong. But it’s only wrong one way. When it says it’s raining or stormy, a quick glance to the outside would prove it wrong. That’s what I’ve always described Bali to my friend. Even among Indonesia other islands, Bali generally experiences very little rain throughout the year. There have been years when sunny weather dominates a supposed “rainy season” in Bali. Although you may not like rain very much in your home country, or in any place with temperate climates, rain in Bali is very much welcomed. 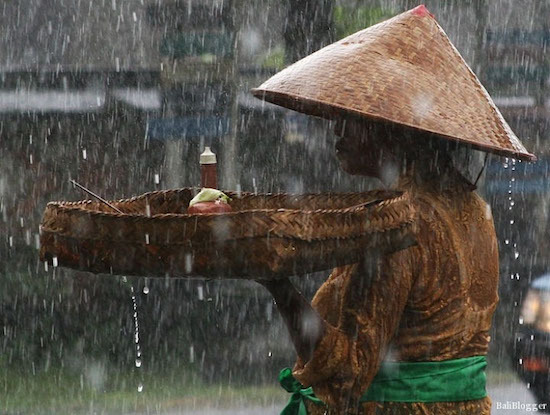 Rain in Bali is highly anticipated. It does not come soon enough. And often, it does not come often enough. Rain in Bali is rarely cold. The winds are what made the rainy season in Bali (only very slightly) chilly. And it’s safe to say that rain won’t tamper your everyday activities on the island. The shortest rain I’ve experienced in my years of living in Bali is literally a few seconds of rain. Then it clears up again. In general, rain often does not last for long. Raining all morning or all afternoon long is sparse. 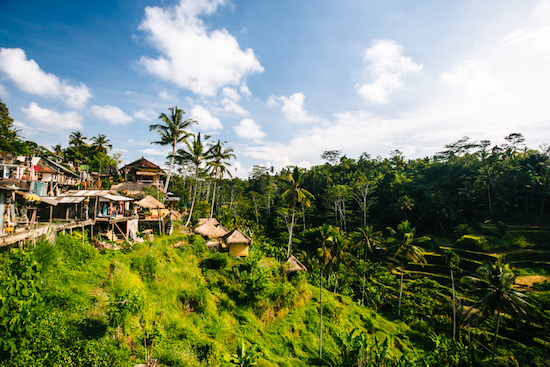 There are simply numerous factors to get the most out of your stay in Bali. Generally, areas heading to Gianyar would experience more rain compared to the Southern part of Bali. This includes Ubud, Sukawati, and the surrounding areas. Don’t let the rain tamper your plan in deciding when is the best time to visit Bali Indonesia. Bali’s weather is a fickle thing. 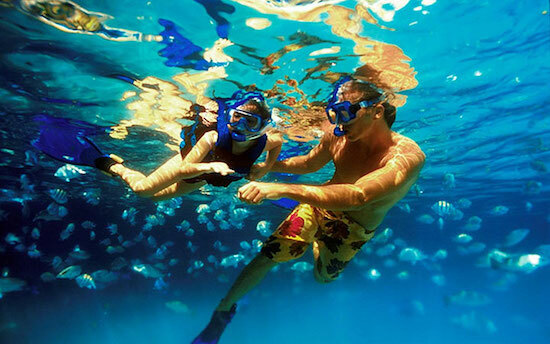 The best time to visit Bali Indonesia would depend on what activities you’d want to do and where. Note whether you’re going to spend time in the coastal area or in the highlands or mountainous area. 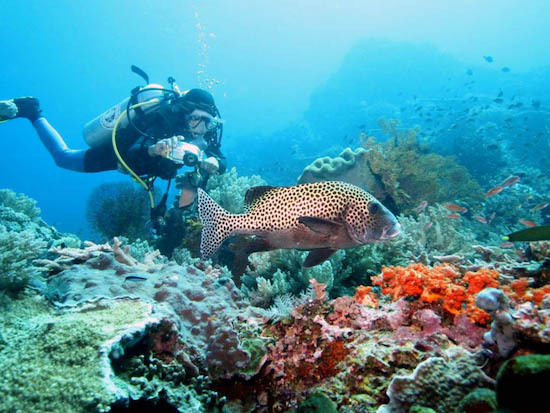 Snorkeling in Nusa Lembongan and the Southern parts of Bali likely won’t get affected much. However, if you’re going to do snorkeling or scuba diving in Amed, Karangasem, you may want to be more wary of the weather. Make sure to consult with your diving agent or instructors. Even when you’ve done all you can, the weather may still mess up. Talk to your agent what you can do in the worst case scenario. Mountain climbing is another activity that you’d need to be on the lookout for. Take notes of simple activities as well. 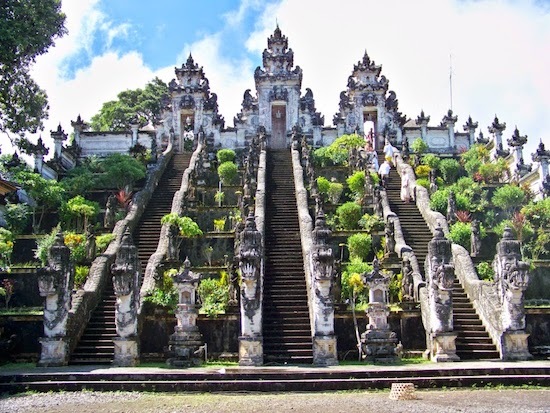 For instance, if visiting the biggest temple in Bali, Besakih Temple is one of your major itineraries, then it should be a flexible one. This is important in order to avoid frustration when it does rain. But if your activities don’t center around the outdoors, then as a rule of thumb, you should be fine to visit any time of the year. If you don’t want to deal with heavy traffics and a horde of tourists, then the high and low seasons should be a good indicator of when to go. The high season in Bali is during late December to early January. During the Christmas and New Year, to be precise. However, the rise in tourists could already be seen from as early as the beginning of December. Another peak season would be July to August when Bali experience the dry season at its hottest. But this year of 2018, Bali experienced many days of rain during those two months. The indication of “dry” and “rainy” season won’t get to tell you much about what the weather’s going to be for the day. 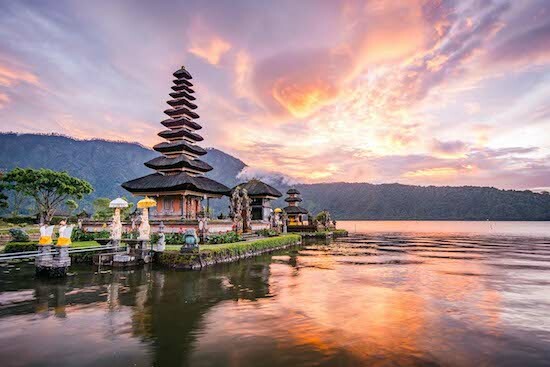 The best time to visit Bali Indonesia for those who’d like to experience a more quiet Bali would be during the low seasons. Accommodation prices would be lower. The time would be from April to June. Another month to consider would be September. It was once a rainy season several years back. But in recent years, it’s rare to experience rain during the month. The hordes of tourists from July to August would have dissipated during the month and Bali is quieter. 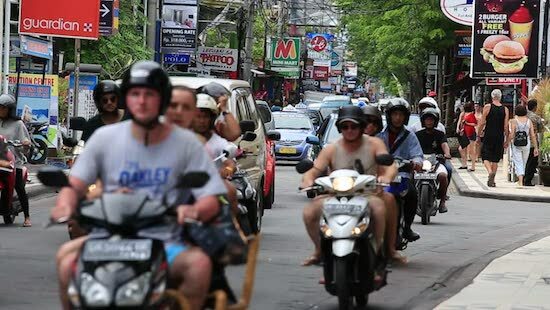 Narrow roads in Kuta and traffics. Bali has a lot of narrow roads. Even the major roads aren’t as wide as in many major cities in Indonesia. Traffic in Bali is getting more condensed each year. Every day, traffic is the highest during the time of work commute. In Bypass Ngurah Rai to most major roads throughout Denpasar and the Badung area (Kuta, Seminyak, Legian) would be congested. The traffic hours would be around 7.30 am to 9 am in the morning. During the late afternoon to the evening, the traffic in Denpasar through Kuta area varied. It started to get congested as early as 4 pm and easing up at 6 pm. In By Pass Ngurah Rai Kuta in the road going to the airport down to Mall Bali Galeria. However, the traffic congestion may reach its peak at 6 pm to 7 pm. So when is the best time to visit Bali Indonesia? If you’re serious about your Bali vacation, then make sure you clearly know what you want to do. Know your activities. Where do you want to stay? What’s your itinerary? Bali’s climate is mild all year long. The weather should not be much of a problem if you’re only going to stay in places like Kuta, Seminyak, and Denpasar. Perhaps there is no best time to visit Bali Indonesia nor is there the “worst” time. Everything would depend on the specifics of your travel. How does Minimalist Packing Revolutionize Your Travel?